We accept all major credit cards and money gram as form of payment. We ship within 24hrs of payment. Orders ouside of the USA allow 48hrs. At Peptideswarehouse our products are manufactured, labeled and sold as articles for in vitro research and other laboratory uses only. They are NOT to be used for diagnostic purposes in food, drugs, medical devices or cosmetics for humans or animals, or for any commercial purposes. It is our commitment to uphold the law, reject and refuse sale if we believe there is potential for the misuse of the products. Those in violation will be suspended from ordering, and have their IP address flagged. Please ensure that all of your information is filled out correctly at check out. If your billing address and zip aren’t the same as your shipping address and zip, you will have complications. If you’re still having issues, email our support and we will try to assist you further. After your purchase, you will see Begley Research* on your credit card statement. Yes, you must be 18 years or older to purchase from our site. For the security of your purchase and our own records – you must order through the site. We use 128-bit Secure Sockets Layer (SSL) to assure your information and all data passing through the website and payment gateway remains secure and confidential. Your safety is of utmost importance to us. Shop with confidence! My orders are failing but my card is showing a charge? Each time you submit a transaction and use the wrong address, YOUR bank will put a hold on the card/funds to cover the transaction, but since your address does not match we reject that transaction. YOUR bank may hold your funds up to 30 days, normally they are released within 3-5 days. Bottom line, MAKE SURE YOU ARE USING YOUR CORRECT BILLING ADDRESS. Chemicals are not suspended unless they are water soluble. Shake rigorously and the precipitate will disperse back into the solution. Apply gentle heat. Avoid inhalation, contact with skin, eyes and clothing, and prolonged repeated exposure. If ingested, contact a physician immediately. The toxicological properties have not been thoroughly investigated, handle with due diligence. 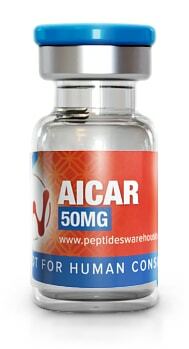 Peptideswarehouse corporation is believed to be correct but only used as a guide for experienced personnel. Peptideswarehouse shall not be held liable for any damage resulting from the handling or from contact of products. The aforementioned products are for in vitro research purposes only! With your order status saying delivered, Peptideswarehouse cannot accept responsibility for your lost packages. Please contact your local USPS with your tracking number handy and they will further assist you. When paying via PayPal, if your order exceeds $750, your package will require a signature. This is not applicable to different payment options or smaller order amounts. Please contact us if you have any question s regarding this.